DSDLink really is easy to use! When you log in to DSDLink for the first time, it will walk you through a quick tutorial. Here are some of the highlights. The Buy Screen is the fastest way to reorder products that you typically purchase! 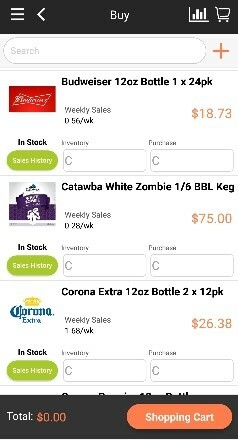 Enter your purchase quantity in cases (“C”). This will be automatically added to your Shopping Cart. You can also change or delete amounts. Enter an inventory amount if you count inventory. Click “Sales History” to review your past inventory and order quantities. Use the “+” button to add new products. Products will show “In Stock” or “Out of Stock” based on current availability. The Shopping Cart shows you the products you have ordered so far. For each product you will see the price, discount (if applicable) and total cost. 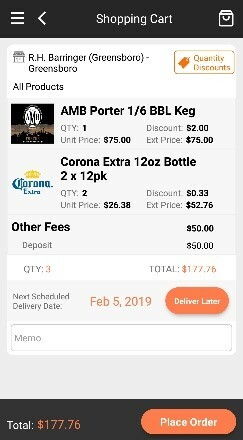 If there are any other Fees like Keg Deposits, they will show at the bottom of the order. You will see your next scheduled delivery date. If you want to pick a future scheduled date, click “Deliver Later”. You can enter instructions for your delivery Driver under “Memo”. When everything looks good, click on “Place Order”. The Browse screen lets you Search all current R.H. Barringer products. Use the “Search” box to key word searches by Supplier, Brand, etc. View products by Type. Tip – Ciders are in the “Wine” group! 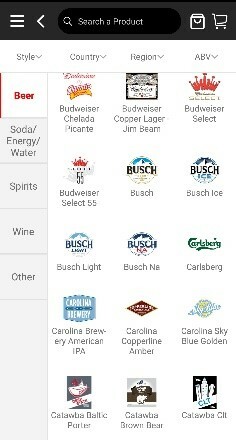 Filter by Style, Country, Region, ABV, … Tip – To see NC products, search Region for North Carolina! When you click on a Brand, it will take you to all the available Products. If you find a Product you want to buy, just click the “Buy” button! 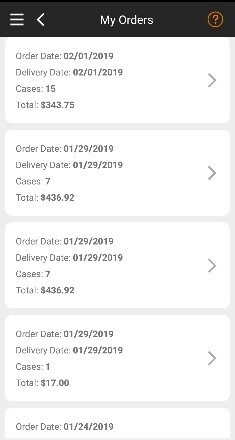 Use the My Orders screen to review outstanding and past orders and deliveries.